Growing Kinders: It’s Calendar Time! Each month is a bit different to allow for student growth and new teaching. I designed it with Kindergarten in mind, but there are programmable pages at the end so first grade or even pre-k could use it. While I was at it, I decided to create a calendar wall as well. I decided to bundle them together too. If you are interested, just click on each picture to take you to TpT. I am thinking I need it to go on my wish list!! Amazing! I am putting it on my wish list!! You rock! Check out my 100 follower giveaway! Your calendar kit looks amazing!!! I love it!! Woooot! Wooot! Super exciting!! You always do GREAT work!! I know this too will be a great addition to primary classrooms!!! YEA!! I love how you made the month's pages get more difficult as the year progresses...growing with your students! Kathleen, it is seriously awesome!!!! Just pinned and bragged all about it. I think this is a must have for every teacher who does calendar. These look fabulous Kathleen!! I LOVE them!! How is it different from Kim Adsit's calendar notebook kit? I have used a some of the Shari Sloane pages in the past. One of the preview pages looked like it was only good for one day, too - am I mistaken? How much do you explain how to do each page with kids? Also, could I easily put the pages on my ActivBoard? Kim and Shari wrote their calendar pack together - so if you like the way Shari does her calendar, you will like Kim's pack. She has TONS of great suggestions for daily activities for songs, name activities, and so on. Her pack is great! I still highly recommend it! This is just a slightly different take on the interactive calendar. Could you put it in a page protector and have the kiddos use a dry erase marker? Or you could make it a one day a week thing. Only have them do it on Fridays for example :) Just a couple of ideas. Paper budgets stink! Oh, thank goodness, I was worried that I was going to have to make this. Adding it to my wishlist until payday! This calendar packet is wondeful! I love having everything on one sheet especially since I will have about 24 students in each class (AM and PM Kindergarten)! Maybe you already explained this but do you use a math program in your class? We just got the new version of Everyday Math so I am seeing maninly of the ideas that we got at the workshop by the consultant! Many thanks again for the time and energy you put into this packet. I wanted to also ask you about your writing packet that you have on TPT. Do the children start the year writing on lines? We usually have the blank paper for journal writing. I like your samples that you shown but was wondering about starting out with lines. Thanks so much for all your hard work and your wonderful blog-I look forward to everytime you share something. The "blank" paper in the packet just has a frame around it. Essentially a big box with a place for the date and page number. I'm looking for fourth grade morning/calendar routine to incorporate math into and still on the hunt. Any suggestions? Kathleen...this looks so wonderful! Are your songs included (or do I just keep finding them on your blog?). My kiddos LOVED your songs every morning. Wow! Would love this for my first graders! Makes me miss teaching kindergarten a bit! Wonderful ideas! Thank-you for sharing. I'm wondering where I could find the remaining songs for the months of the year? I used Kim Adsit and Shari Sloane's calendar book format last year but added your monthly songs and calendar pages. It was my first time using the calendar book idea and it worked great. I like how you have created monthly pages that progress in difficulty throughout the year and the fact that there is one page devoted to each day. I plan on using this math calendar book for next year with the addition of the monthly songs. My kids loved singing the songs and they were able to remember all of them by the end of the year. 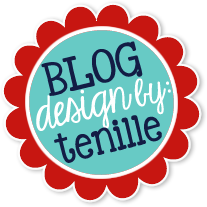 Thanks for all of your hard work, I am a huge fan of your blog and TPT products! I was looking for you at "I Teach K" to say thank you in person but wasn't able to find you. Keep up the great work and enjoy the rest of your summer! Also, for paper budget people I loved the idea of sheet protectors. You can print on both sides and maybe just do this in a math center instead of whole group where you have to print 20+? I am loving he new calendar bundle. Thank you on behalf of all of us K teachers! Would you mind please doing a quick blog posting outlining how you will be organizing your students binders for this year and what you will be including in each student's binders. Do you typically include dividers between songs, daily pages, tooth tally charts, etc? Then do you mind walking us thru how you change out the calendar pages each month and get them ready for the next month? Just want to make sure I am using your fabulous program most effectively. Thank again. It is wonderful! I downloaded this today....aWeSoMe! Can't wait to get started!!!! So cute! need one for music! Is it possible to just purchase the daily calendar math? Just love the calendar. I want to know how is the dominoe and dice parts filled out especially when the numbers are higher than 12? its a useful post and nice post. ABC Come Learn with Me! Environmental Print! Christmas in July Sale!! Be Quick!